We are very proud to announce that Last Shop Standing will be the official film of RSD 2013. We are very honoured to be chosen and hope we will in some way help to make this a very special and successful RSD for everyone involved. We are creating a new Delux DVD for the occasion which will be available April 20th from all good indie record shops around the world. It will feature over 20 min’s of new and unseen footage. 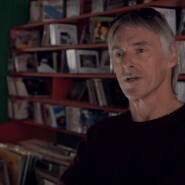 We are also allowing any record shop to screen our film for one night free the week running up to RSD: more info soon from the RSD organiser’s: If you are in the USA this will form the official premiere of the film in the United States.